Very nice OhThatGuy, I do like "planetary/space" scenes, they're very humbling. I'm late to this party, but newer to Peppermint 7. 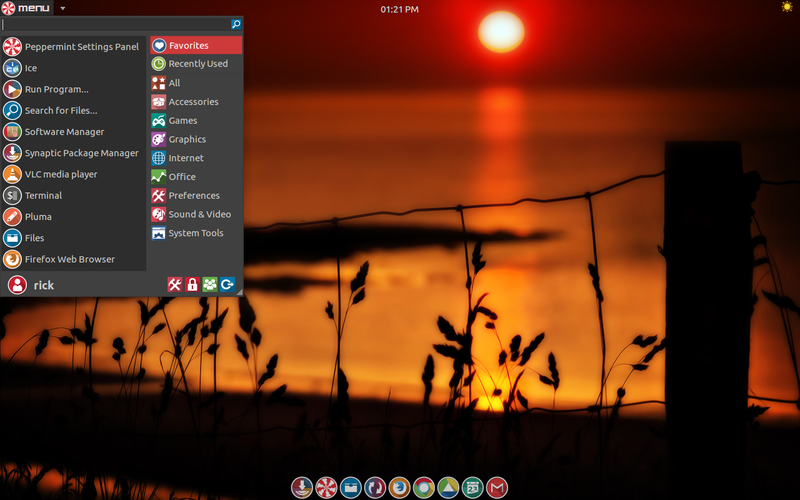 I'm landing with Peppermint OS since it's the best out of the box distro I've used. I'm running it as my media server on a 2009 Gateway, and I'm going to install as my primary on my Mid 2012 MBP. So to the Peppermint team -- thank you, thank you, thank you! 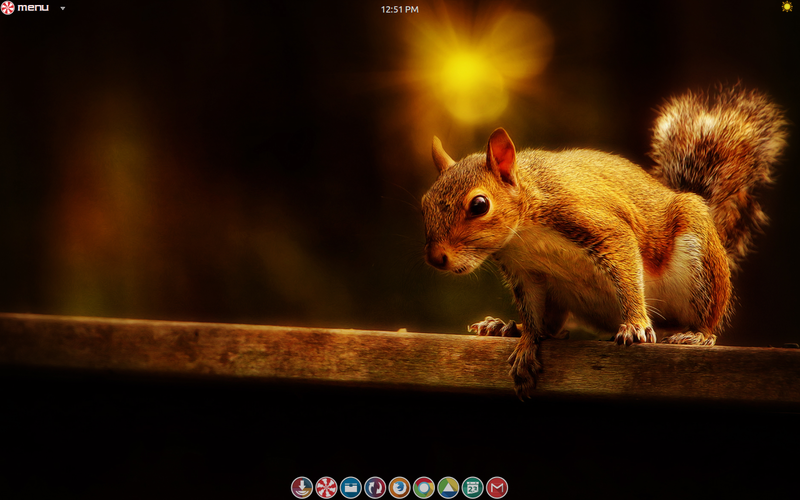 Here's the desktop I landed with in VirtualBox. It's what I'll run on MBP in a few weeks. I'm using 2 stock backgrounds right now that I switch between. I like a simple clean minimal desktop. Great to hear you're enjoying Peppermint, and I think I can talk for the rest of the team when I say "you're most welcome". Clean, efficient, with everything that I use within a click or two! All this makes for one happy Peppermint user! I feel the same way too, bgkidd1981. That's a nice way of putting it. What a beautiful wallpaper!! Can you post a link to it so that I can use it too? Yes, it is a beautiful wallpaper. I liberated that wallpaper from Ubuntu Unity 16.04. It's called Spring by Peter Apas. Maybe there's a trick you know so you could grab the wallpaper from Synaptic Package Manager. Spring is in the set of wallpapers found by typing ubuntu-wallpapers-trusty. I've also uploaded the link to the photo and placed it in my Imgur account. If all else fails, you can download Trusty, put it on a live flash drive or DVD, and then take the wallpaper from there. That is how I got the wallpaper. I'm going to install as my primary on my Mid 2012 MBP. Thank you! I've got it now and will use it as one of my set of randomly changing wallpapers. Great Slim.Fatz and stefanreich! I'm glad you like it and can make use of it. That is a very nice wallpaper for sure beautifull lit, but it's the digital clock in the corner caught my eye where did that come from ? Thank you so much, emegra. That's it. We now have a living clock for human beings! You're welcome. I hope it works out for you.